Shutter is a Contemporary Romance series where life and love is an all-consuming obsession. Eli Chastain is a super-secret ninja set on conquering the world one reader at a time. In reality, she's an alter ego of a struggling author that needs a secondary route to reveal her inner most demons. Follow along to see if you are haunted by some of the same. 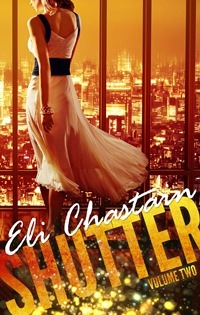 Chastain's contemporary serial, Shutter, has been published in August 2014 with all subsequent volumes to be released before the end of the year.